In a region most recently known for high-yielding, innocuous varieties like Sylvaner and Müller-Thurgau that have tainted the reputation of German wine as a whole, Walter Strub and his son Sebastian are crafting transparent, pure expressions of Riesling on slopes along the Rhine River in Nierstein. 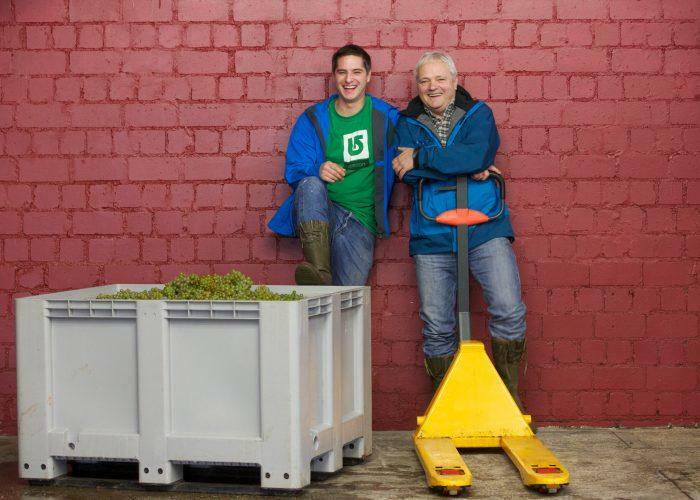 The Strub family has been making wine in Germany's Rheinhessen region since 1710, Walter Strub is the 11th generation of his family to produce fine Riesling of international repute from the family vineyards. Sebastian Strub, fresh from graduating Geisenheim and an apprenticeship at Dönnhoff, has begun making his mark on the winery, bringing the wines into sleek focus. Sebastian has introduced a small filtration to control oxidation, eliminated süssreserve (balance, he believes, is best achieved through blending), and accelerated fermentations, preferring a faster, warmer 'cleaning' of the must. Additionally, Sebastian has placed more focus on the family's vineyard work, including the use of straw coverings between rows to prevent erosion and aid in water retention – a technique he learned while working at Dönnhoff.